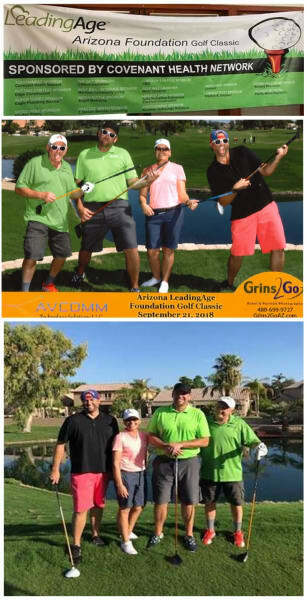 The Park at Surprise was very grateful to be a part of the Pacific Mobile Diagnostics golf team for the annual Arizona Leading Age Foundation Golf Classic. The Foundation is the trusted voice for non-profit and other mission-driven organizations dedicated to providing quality housing, health care and community-based services for Arizona’s seniors. 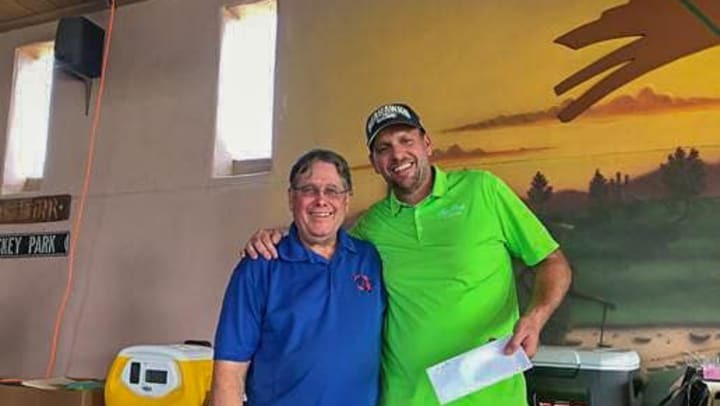 This past Friday, the Pacific Mobile Diagnostics golf team finished in first place at the Foundation’s golf classic, shooting 56 in a scramble format tournament. Notably, the Pacific Mobile Diagnostics golf team also won the “Longest Drive,” and the “Speed Hole” contest, completing the hole with a par four in just 25 seconds! While we were thrilled to achieve first place based on the noteworthy competition, the biggest victory attained was the amount of money we helped raise for the Arizona Leading Age Foundation. We hope that some of you may be joining us soon and playing some golf for a good cause. We can't promise first place, but can assure a good time and funds raised for a worthy cause.